"Jenrigo's" design and style are founded on real passion for beauty and excellence!You are not making any compromises by selecting one of the stunningly beautiful handbags from their latest collection.Best Italian style, taste and passion "shine through" each "Jenrigo" handbag.Excellence does not happen by chance... All "Jenrigo" handbags are made in Italy with the greatest attention to perfection using only the best Italian leathers, which have been processed with "Tender Loving Care".Each item, created by skillful "Jenrigo" artisans, is handcrafted and sewn with very careful attention to details. Constant search for perfection, strictly established artisan methods, top quality leathers and hardware accessories combined with outstanding craftsmanship, make each "Jenrigo" article a unique piece of art! "Jenrigo" bags are in great demand in Italy and all over the world, and they are not widely available due to the very limited production.We are direct Importer of the finest "Jenrigo" products. There are no middlemen, agents, or any distributors between us and the brand owner/producer. We place our orders in person during our regular visits to Italy, and we are happy to bring you the elegance, beauty and sophisticated styling of "Jenrigo" handbags.Don’t miss out on your "Jenrigo" handbag! Our stock is very limited and these bags can't be reordered from Italy... Reward yourself Today! Website Created by & Copyright © 2000 - AAII. All Rights Reserved. 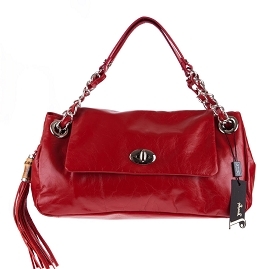 USA based Direct importer, distributor and retailer of Authentic Designer products Made in Italy. US ADDRESS: Advanced Alliance International Inc.